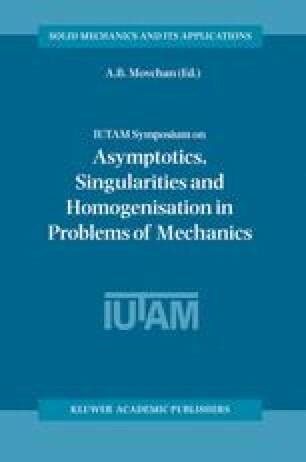 An asymptotic model is proposed for the analysis of a long-wave dynamic model for a layered structure with an imperfect interface. Two layers of isotropic material are connected by a thin and soft adhesive: effectively the layer of adhesive can be described as a surface of discontinuity for the longitudinal displacement. The asymptotic method enables us to derive the lower-dimensional differential equations that describe waves associated with the displacement jump across the adhesive.